An update on my blog so far, or ˜Crikey, this has all got rather exciting”. I’ve been working for a friend, Daisy Foss, helping run her healing retreat centre and put together her new website and blog. I didn’t really know much about blogging, so I had been looking at the course materials for the course she was doing with a blogger called Sarah Akwisombe. I really liked the way Sarah said blogging was about putting across your own authentic voice and writing about the things that interested you most. Sarah was sweary and funny and honest. I can’t really take credit for this post. I’ve been busy this week, having a birthday, helping run an Angelic Healing Retreat Centre, organising the infrastructure for a field at Glastonbury Festival, booking pirate folk bands for Tewkesbury Medieval Re-enactment, arranging for this blog to be self hosted and failing to go to the Bardic Trials at the Assembly Rooms because it was just one thing too many. I needed some post content that wouldn’t take too much brain power. 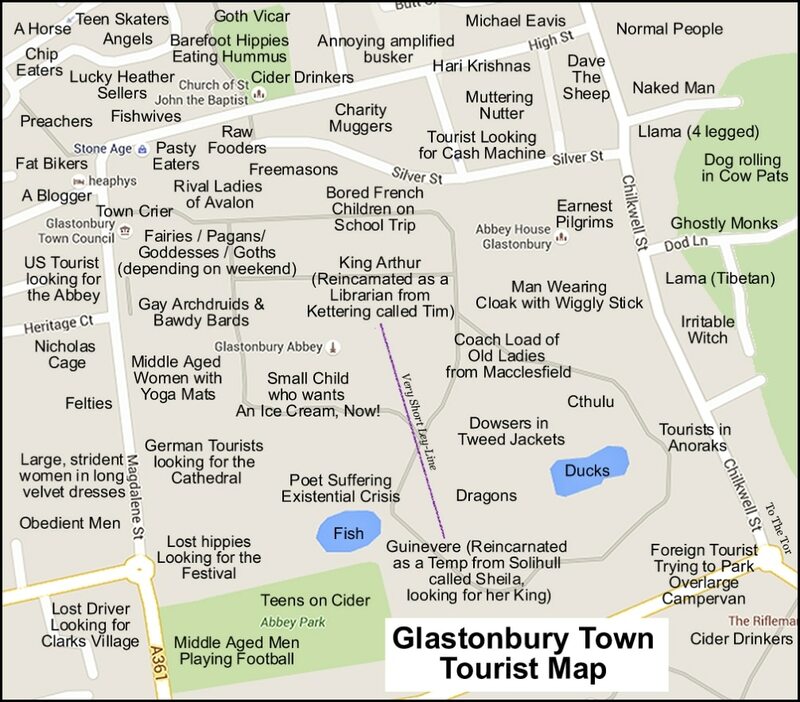 Surely there aren’t two Glastonbury towns in England? The local Tourist Information office likes to pretend that Glastonbury is a small market town with an historic abbey in it. They don’t like to acknowledge that most of Glastonbury’s tourists come here for the weirdness, Glastonbury Tor, crystal and magic shops, vegetarian cafes, etc. In fact they avoid mentioning any of this wherever possible. They don’t like putting posters up for local events that are at all alternative. Or advertising local B&Bs that might cater to anyone looking for anything quirky and original.